Catherine Perry was born on 7 February 1852 in Mount Barker, South Australia , daughter of John Harvey Perry and Priscilla Browett. 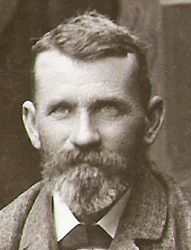 John Harvey Perry was born on 24 March 1855 in Noarlunga, South Australia , son of Alfred Perry and Eleanor Gordon Clark. On 8 September 1880, John, aged 25, married Alice Short, aged 20, daughter of John Short and Hannah Wren, in Noarlunga, South Australia . Alice Short was born on 12 November 1859 in Morphett Vale, South Australia , daughter of John Short and Hannah Wren. On 8 September 1880, Alice, aged 20, married John Harvey Perry, aged 25, son of Alfred Perry and Eleanor Gordon Clark, in Noarlunga, South Australia . She died on Tuesday, 4 February 1936, aged 76 years, 2 months and 23 days, in Morphett Vale, South Australia . Hannah Eleanor Perry was born on 3 September 1882 in Morphett Vale, South Australia , daughter of John Harvey Perry and Alice Short. Albert Harvey Perry was born on 13 April 1884 in Morphett Vale, South Australia , son of John Harvey Perry and Alice Short. On 19 April 1913, Albert, aged 29, married Ethel Evanthe Thompson Liston, aged 32, daughter of Henry Liston Liston and Mary Hannah Shugg, in the residence of H. Liston in Morphett Vale, South Australia . He died in 1958, aged 73 years. Ernest Walter Perry was born on 31 December 1884 in Morphett Vale, South Australia , son of John Harvey Perry and Alice Short. On 4 November 1914, Ernest, aged 29, married Myrtle Hilda Craven, aged 21, daughter of William Henry Craven and Mary Roberts, in Holy Trinity Church, North Terrace in Adelaide, South Australia . Amy Gordon Perry was born on 11 January 1888 in Morphett Vale, South Australia , daughter of John Harvey Perry and Alice Short.